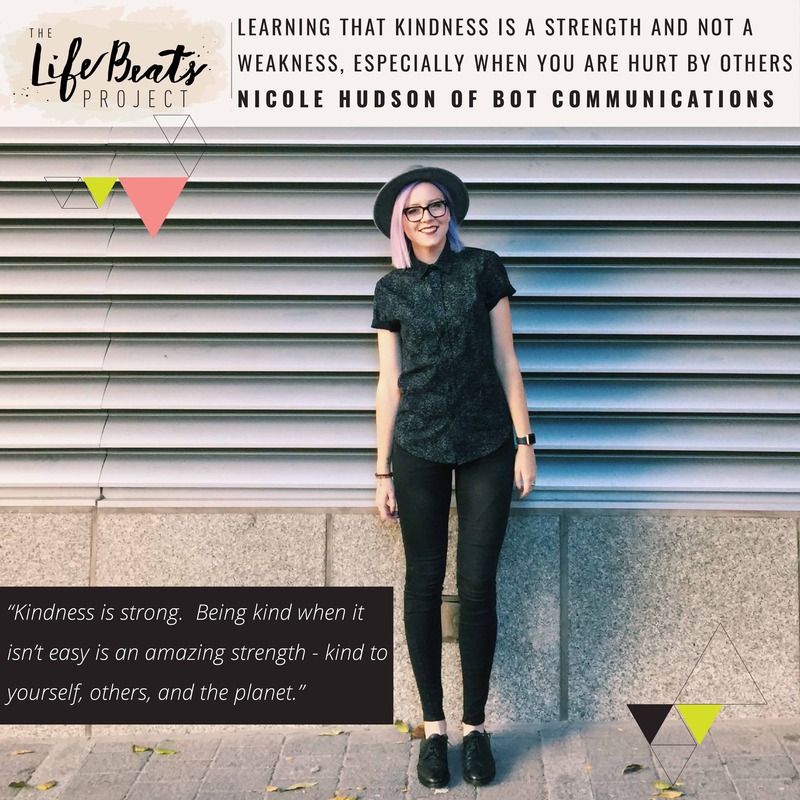 Today I have the privilege of introducing you to Nicole Hudson of Bot Communications who shares her lifetime journey of finding a way to honor and celebrate her passion – people! She also tells about the most devastating thing that has happened in her life and how it helped her to see that kindness is not a weakness, but the greatest strength you can possess and demonstrate to others. Nicole shares how she grew up in chilly Canada dancing and the vulnerability which that taught her. Her senior year in high school she created a montage of their dance trips & performances which was shown at their final recital. Watching the emotional impact her video had on others – their eyes light up, the laughter, the tears – made her want to help people feel that again and again. This sparked Nicole down a path, moving to LA and then to Toronto to get her degree in film, to then work in the TV world. She soon discovered that it really was all about the people for her. She began pursuing more of her photography but found that her clients were asking her questions about about starting a business and Nicole loved teaching them. Nicole decided to fill the need herself for an affordable workshop for entrepreneurs to learn the basics of starting a business, and Bot Communications was born. Nicole shares how she met a boy at the age of 19 who swept her up in a fairytale love story, whom she would marry at 23. Nicole shares how she felt herself growing up with him, what his influence was in her starting her business, and what she was most grateful to him for. She then tells of the series of events in 2016 in which she learned that he no longer wanted to be married to her and the 1 1/2 year long affair he had been having with someone Nicole knew. Nicole was completely devastated and could not function. Despite this devastation Nicole choose to treat him with kindness knowing that if she stopped being kind, he would have taken away something from her that made her her. She had already lost of much of herself in all of this, so much of her identity and dignity, that if she stopped being kind, that would have been one more thing taken from her. This led to her journey to understand that kindness is not a weakness but a strength. That it takes more effort to be kind in hard situations than to not be. From this experience Nicole has created a workshop for teen girls called Kind is Strong and a 7 day program for entrepreneurs called Find your Sparkle. Listen and be inspired to face your world with more kindness – toward others, the planet, and yourself. Want to know if this episode it for you? This episode is perfect for someone who has been affected by someone else’s choices and is looking to find the strength to respond in kindness. It will give hope and comfort to those who may be going through relationship difficulties or a divorce. It is inspiring for those who are seeking courage to be kind, even when its not easy. This is intended as constructive criticism: I know Nicole and was interested to hear her story and learn more about her as a friend. However, if I hadn’t been so motivated to reach the actual interview, I would have turned the episode off because of the 5 minutes of scripted self-promotion at the beginning. It would be great to be able to skip to the start of the interview, or have a much shorter/more candid lead in. Thank you so much Angela for taking the time to offer your suggestion. How lucky you are to know Nicole and she is for you supporting her. I appreciate your insights and will see how I can better improve.